Book Wings is a collaborative exchange and performance initiative designed to bring together writers, actors, directors, and new media professionals from the United States and partner countries in a virtual environment. Its aim is to foster cross-cultural conversation, spark new literary and dramatic ideas, and create an enduring body of work. In the long term, Book Wings also hopes to provide a blueprint for other institutions to produce innovative collaborative theatre projects that bring creative professionals—and nations—closer together. Made possible by grant funds provided by the Bureau of Educational and Cultural Affairs at the U.S. Department of State, Book Wings is a first in the world of theatrical performance and represents a breakthrough in the leveraging of technology for the purposes of artistic cooperation, exchange, and engagement. Here’s how it works: Book Wings commissions writers to produce new works on a common theme, translates these works, and then uses high-definition videoconferencing technologies and projectors to digitally connect sister stages at theatres thousands of miles apart, creating a single collaborative bilingual performance, open to the public and accessible to viewers around the globe via a live stream. 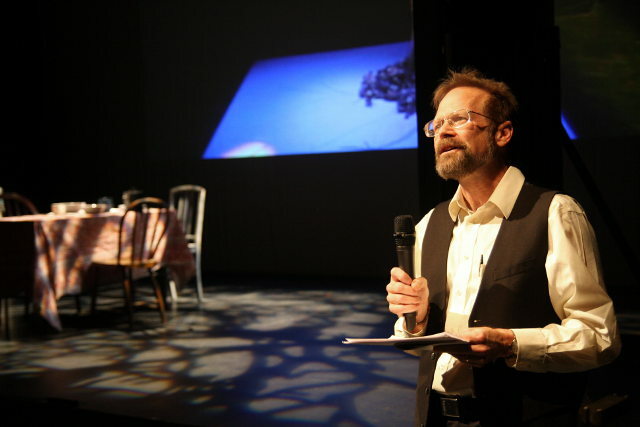 In 2012, a historic partnership between the International Writing Program and the Moscow Art Theatre (the home stage of Stanislavsky and Chekhov), in collaboration with the University of Iowa's Department of Theatre Arts, the Virtual Writing University, Information Technology Services, and UITV, brought us the first installment of Book Wings. Book Wings expanded the initiative to include Russia and China in 2013 and Iraq and Russia in 2014. For 2015, Book Wings will feature a collaboration with South Africa. This website includes details about the performances and about accessing the live stream, instructions on how to partner with IWP to host a viewing party, as well as a growing archive of information about the Book Wings initiative: videos of past performances, editorial content, biographies of participants, information about the collaboration process and the new media technologies employed, along with many other resources.